Motorola Moto Z Force expected price in India is ₹34,999. The Moto Z Force has a shatter-proof display (with a 4-year warranty) and has been designed to work with modular accessories or the Moto Mods. Compared to its sibling, Moto Z, the Moto Z Force is a bit thicker, has a bigger battery and a more detailed camera sensor. All that adds up to place Moto Z Force a step higher on the podium. Motorola hasn't yet revealed any official info on when you can buy Moto Z Force in India. We will update you with more information regarding India price and availability as it surfaces. To start with, Let's talk about Moto Mods. Moto Mods magnetically mount on the rear, evening out the camera bump in the process. They communicate with the phone using Gold pogo pins, and are easier to configure, when compared to L Just like LG Friends, each adds a special feature. For instance, you can clip the battery Mod for some added battery, A JBL Bluetooth Speaker Mod for richer audio and so on. Motorola assures that these Mods will be compatible with future generation z series handsets too. Apart from the Mods, Moto Z Force benefits from a 5.5-inch AMOLED QHD display and is powered by Snapdragon 820 beast paired with 4GB LPDDR3 RAM and 32GB/64GB storage. Other notable features include 21MP rear camera with OIS and PDAF, 5MP selfie shooter, MicroSD card support, Latest Android Marshmallow software, USB Type C port, square fingerprint sensor below the display and a modest 3500 mAh battery. Also, the Moto Z Force ditches 3.5mm audio jack in favour of USB Type C audio. This might be a step forward in technology, but will be an added inconvenience for some time to come. On the whole, Moto Z Force has a lot going in its favour. It has a refreshing design, capable hardware, latest software and a durable build. Now only if Motorola manages to price it right. 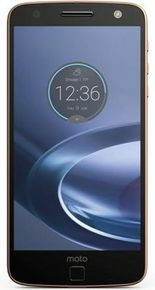 The other difference with the Moto Z Force is the significantly larger battery, the added girth that comes with a larger battery, a higher resolution 21MP camera, and the shatter proof screen that will survive drops of up to 5 feet onto flat surfaces.The other difference with the Moto Z Force is the significantly larger battery, the added girth that comes with a larger battery, a higher resolution 21MP camera, and the shatter proof screen that will survive drops of up to 5 feet onto flat surfaces. The Moto Z certainly pairs better with Motorola’s snap-on Moto Mods. But because the higher-spec’ed Moto Z Force is so dang good, it can stand all on its own, with no speaker, projector or power pack accessories necessary.